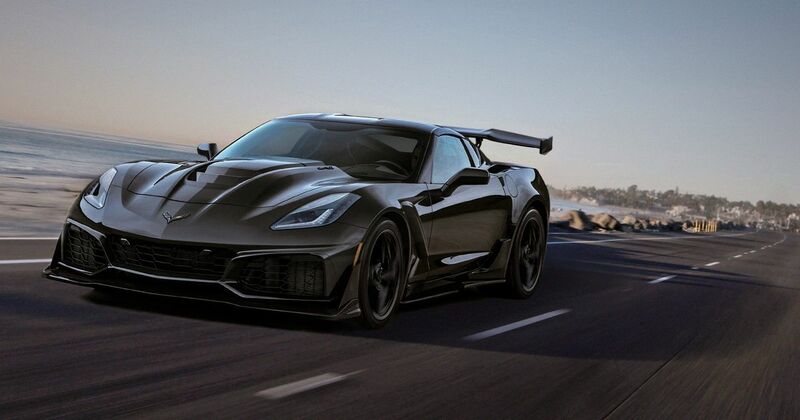 If you’ve always liked the Corvette ZR1 but fancied a little more wind in your hair, you’re in luck. The first convertible ZR1 since the 1970 model has just dropped at the Los Angeles Motor Show. 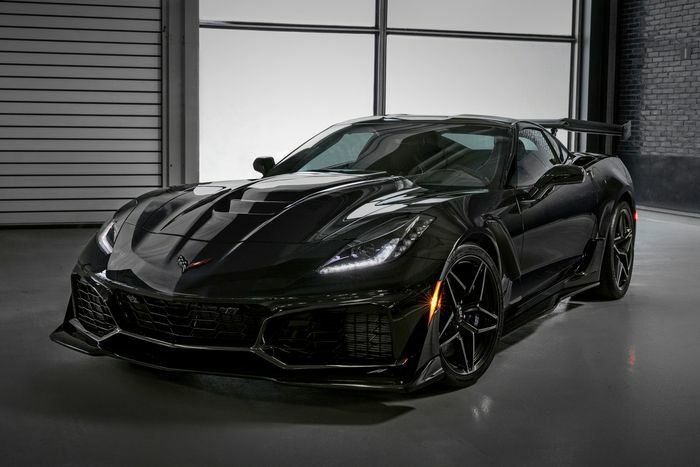 The 2019 model year car loses the roof for an extra $4000 on top of the ZR1 coupe’s price tag, making it $123,995 including destination charge but excluding any local taxes, titles and other fees. 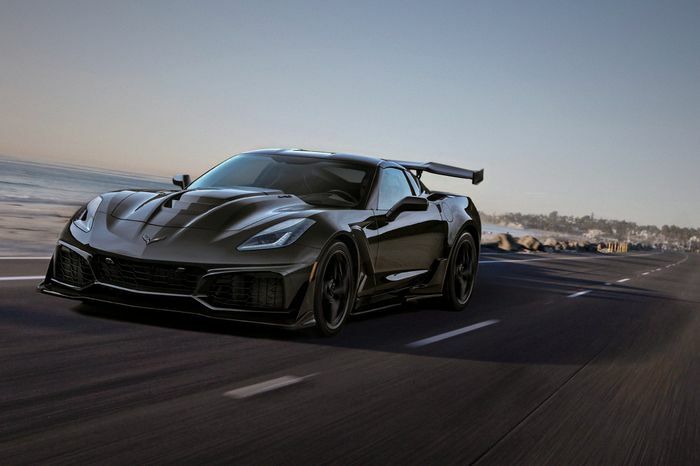 Chevrolet hasn’t released specific performance details for the car, but we do know it’s just 27kg heavier than the coupe so should match that car’s sub-3.0-second 0-60mph time. 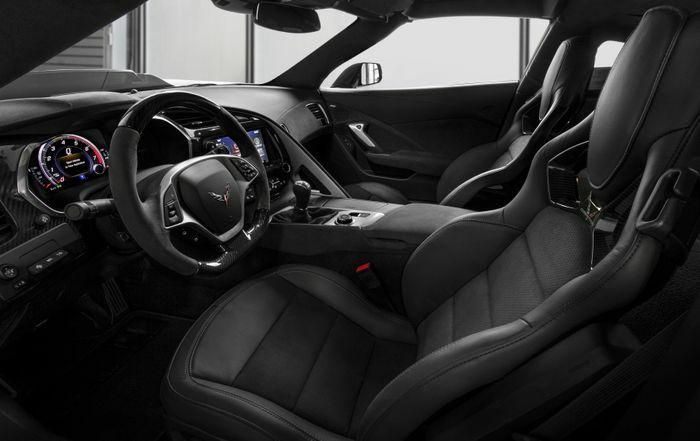 The strength of the new car’s chassis, Chevy says, is such that the only structural mods needed for the open-top version are relocated seat belt mounts and a compartment for the electrically folding roof to disappear into. The new roof mechanism, which is the source of almost all of the weight increase, can be opened or closed on the move at up to 30mph. Annoyingly, the pics don’t show the roof down so you’ll have to use your imagination… or this render. Top speed is ‘over 200mph’ according to Chevy. The hard-top will nudge an eye-opening 212mph courtesy of the new ‘Low Wing’, which generates downforce and stability with minimal drag penalty. These pics also show the optional High Wing that comes with the $2995 ZTK Performance Package. 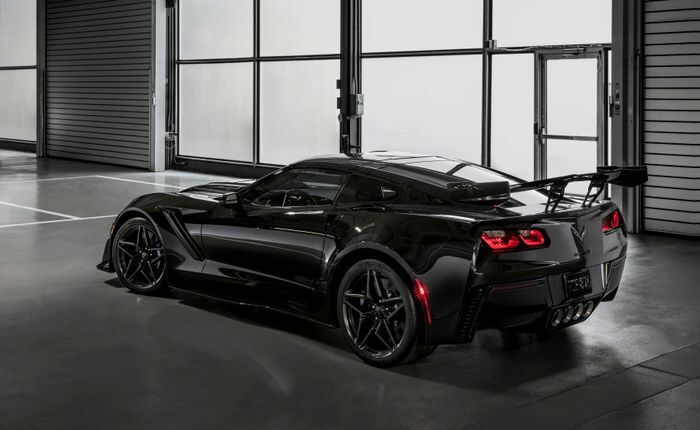 It helps increase cornering speeds by generating up to 430kg of downforce, but comes at the expense of a few miles per hour off the top speed – which remains above 200mph. At the front is a special LT5 supercharged V8. With 6.2 litres of cubic capacity an a new, more efficient and intercooled supercharger setup, it produces 755bhp and 715b ft. If it were a dog, the postman would be terrified. The quarter-mile comes up in less than 11 seconds with the eight-speed automatic gearbox. A cool geeky fact is that the new 2.65-litre supercharger is larger but spins at a slower speed, producing more power but reducing heat build-up in the air intakes.